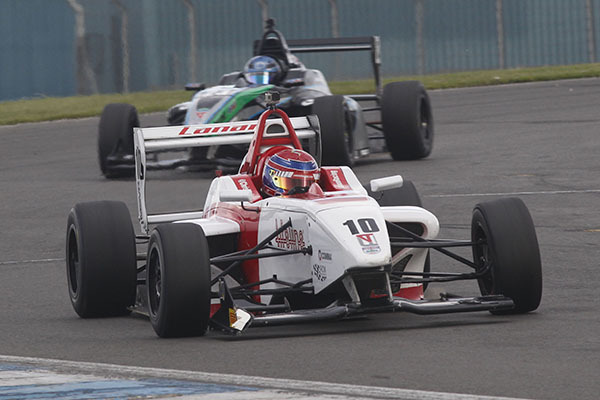 Jack Bartholomew and Rodrigo Fonseca secured a podium apiece at Donington Park in the penultimate weekend of the Duo BRDC Formula 4 Championship. Chris Mealin was denied a podium of his own, after he was forced off the road defending the lead of race two. Fonseca leaves Leicestershire as the highest-placed Lanan Racing driver in the standings, laying fifth, one spot ahead of Bartholomew, with Mealin eighth. For the second weekend running, it was the 16-year-old Bartholomew who took home the biggest haul of points. A sixth-place in the weekend's opener was followed by his best result of the season, second place, as he capitalised on the misfortune of his team-mate Mealin. Race three yielded another top-10 finish, collecting eighth. Fonseca, 19, ended his weekend on a high after a tough start. Contact with Jack Lang in race one saw him excluded, leaving the Mexican with an uphill task in the reverse-grid race two. A typical charge through the field into the top 10 was produced, ending the race in ninth position. A rapid start to the final race set him on his way back to the podium, his seventh of the season. Manxman Mealin enjoyed a good start to the weekend, moving from sixth to third in the opener before dropping to fourth. Contact followed as he looked to reclaim third, and dropped back to seventh. More misfortune came in race two, inheriting the lead after his fellow front-row starter jumped the lights. Mealin was then forced off the road defending his lead, falling back to 10th. Race three ended early, coming together with a rival on the opening lap. 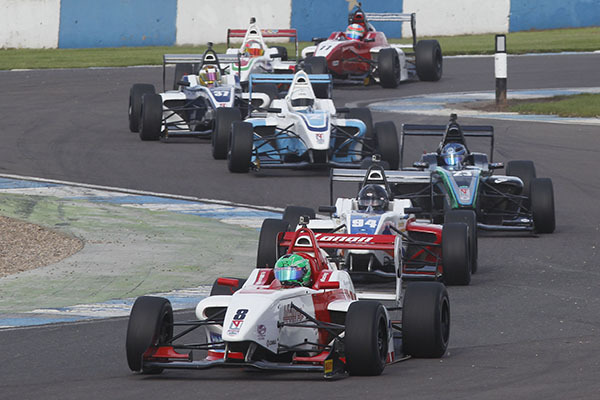 The final rounds of the Duo BRDC Formula 4 Championship take place at Brands Hatch on the weekend of 26-27 September.